Where in the world will DNA travel take you? Uncovering your ethnic origins could inspire a life-changing journey to the places in your family’s past. Dive into the heritage travel stories of others—and get ready to make some DNA travel plans of your own. Get your imagination going with these DNA travel stories featuring real Ancestry customers. Inspiration can take you anywhere—even to places you never expected to go. If the “wanderlust gene” truly exists, you can be sure these DNA travelers have it. 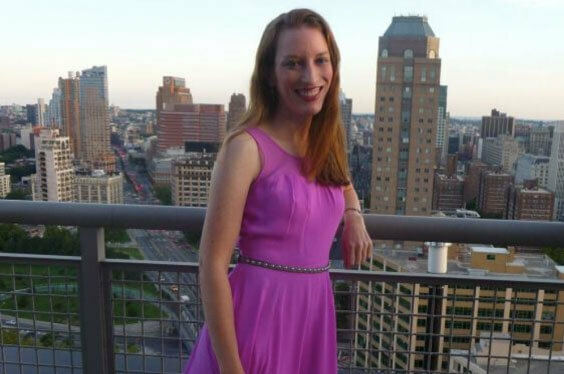 As a native New Yorker, 27-year-old Bri Rogers was intrigued to discover more about her ancestry and how her family made its way to the Big Apple. New York City is a multicultural metropolis with a population that speaks more than 200 languages, so Ms. Rogers knew that she could potentially find out lots of interesting facts by delving into her family’s past. “I’ve always been curious about my roots, knowing that my ancestors came from many different places to seek freedom and opportunities here,” she told The Independent. With a father from Brooklyn and a mother born in Puerto Rico, Ms. Rogers was positive that results from an AncestryDNA test would uncover familial connections with Ireland and Spain. However, she wasn’t expecting the diverse array of results that she received. Taking an AncestryDNA test involves sending off a sample of your saliva to be analysed. 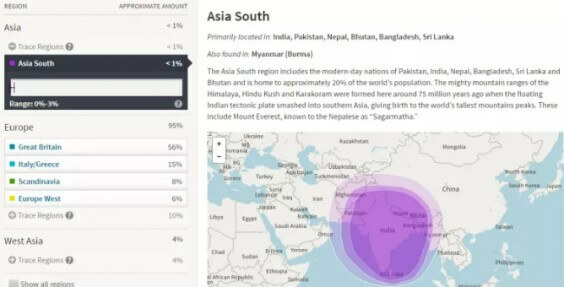 AncestryDNA uses the sample to estimate your biological connection with more than 350 regions from around the world. After six to eight weeks your detailed AncestryDNA results will then become available in your profile on the site. Ms. Rogers’ results unveiled that she was indeed part-Irish, with 26% of her DNA makeup attributed to that area, in addition to various parts of Europe. However, her European Jewish and Native American background took her largely by surprise. Ms. Rogers was informed that she was eight percent European Jewish and seven percent Native American, two ethnicities that she hadn’t expected in the slightest. 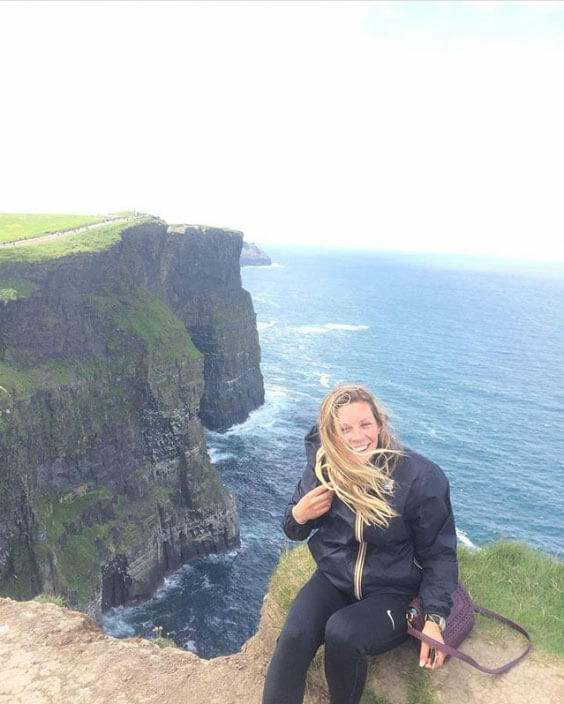 This newfound knowledge of her heritage inspired her to travel the world, venturing to Puerto Rico, Ireland, Poland and France. “My ancestry results is the compass to my ancestral past,” she said. “After taking this test, I felt a closer connection with myself and my family, and most importantly the ancestors who faced hardships and overcame obstacles in their lives. 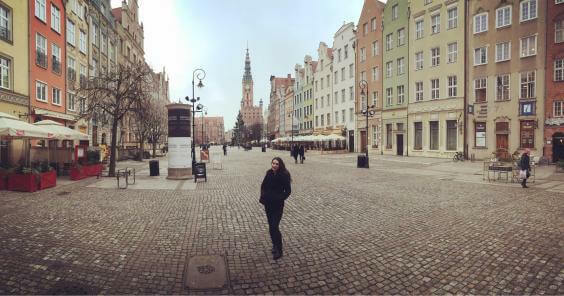 Stumbling upon her Jewish connection has inspired Ms. Rogers to venture to Lithuania this summer, where she has a distant cousin waiting to meet her for the very first time. After an individual has taken an AncestryDNA test, the company will then search across its network of AncestryDNAmembers to determine whether anyone else around the world shares your DNA and could turn out to be a relative that you had no idea existed. Ms. Rogers has felt so inspired by her ancestry journey that she’s decided to embark on a fascinating career path. “The discoveries that I’ve made on my ancestry journey have fuelled my passion to become a professional genealogist,” she said. 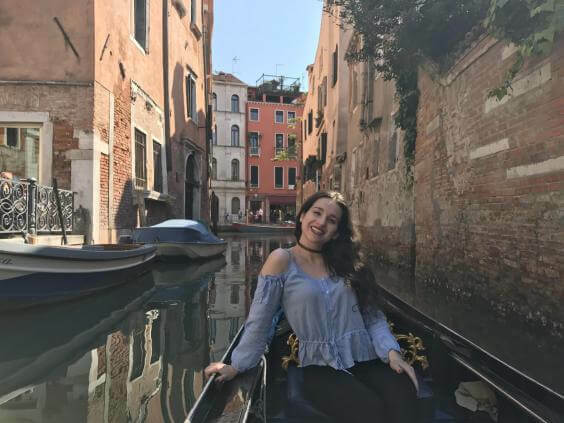 Ms. Rogers is currently studying for a graduate degree in history at Harvard University and has plans to complete a certificate in genealogical studies this summer at Boston University. Her experiences travelling abroad have had a profound impact on her life. “I have learned so much travelling to these countries and meeting new people, exploring historical sites, trying staple foods and learning new languages," she said. She had a particularly special moment while in Florence, as she became aware of her Italian heritage while enjoying an espresso and pastry for breakfast. 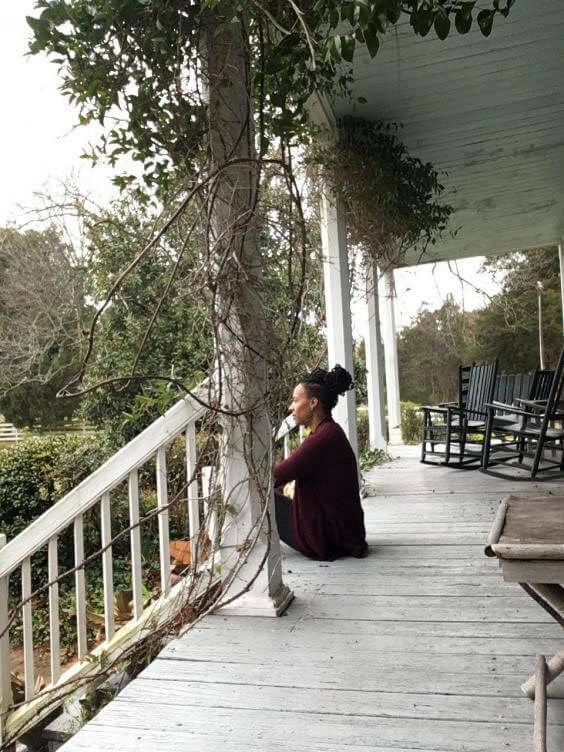 “These experiences offered me a chance to learn more about my ancestral past and the importance of preserving my family history in writing for generations to come," she stated. The adventure hasn’t finished quite yet, as Ms. Rogers has plans to visit Portugal, Spain and Greece in the near future. When Michelle Weigold was in high school, she became fascinated by family trees and genealogy, creating trees for her friends and family, and digging up names and countries of origin. But after a certain point, Weigold, whose hobby eventually tied into a love of travel, realised there were certain slots on her own tree that she couldn’t fill - until she saw an ad from Ancestry offering DNA tests. Weigold signed up and just a few weeks later, received the results of her AncestryDNA test. And after sending a saliva sample by post to Ancestry, which boasts the world’s largest DNA database, Weigold found out some fascinating things about her ancestry. “It was so interesting to see because it is never what you think it is going to be,” Weigold told The Independent of her Ancestry DNA findings. According to Weigold’s DNA, she was not mainly German, Italian, and Irish as she’d originally thought. Ancestry also revealed Weigold was Scandinavian and South Asian - and her favourite, six per cent Iberian peninsula. And, as a world-traveller, the results of her AncestryDNA test have led her to explore entirely new parts of the world, which she admits she may have previously been closed off to. “When I saw I had DNA from different regions, it changed my sense of self. I want to make it a point to go to one country and one place from each of the regions,” she told us - so she made a checklist. However, Weigold thinks the trip was especially special because of her connection to that part of the world, knowing that her DNA meant her relatives had also lived there. The next stops on her list are Scandinavia and India, which she wants to try to get to while she is still young. But apart from influencing her travels, Weigold noticed that the results of her DNA test have also influenced her mindset and how she views the world. And what she first realised when filling out family trees for her friends - that “cultural superiority is stupid” - has only expanded as she studied her own DNA with the help of Ancestry genealogists. “Everyone is diverse in a way and everybody has a different background - way more than they realise,” she said. Weigold also believes that if everyone were to take an AncestryDNA test "racism could fizzle out," as people are rarely what they think they are. For Weigold, this new self-awareness has connected her to parts of the world she’d never thought possible - and it’s also allowed her to connect with distant cousins and continue to fill in her own family tree. According to Weigold, Ancestry’s database is continuously growing and updating - and it updates users too. For Weigold, Ancestry has informed her of six hundred matches of cousins based on shared DNA. 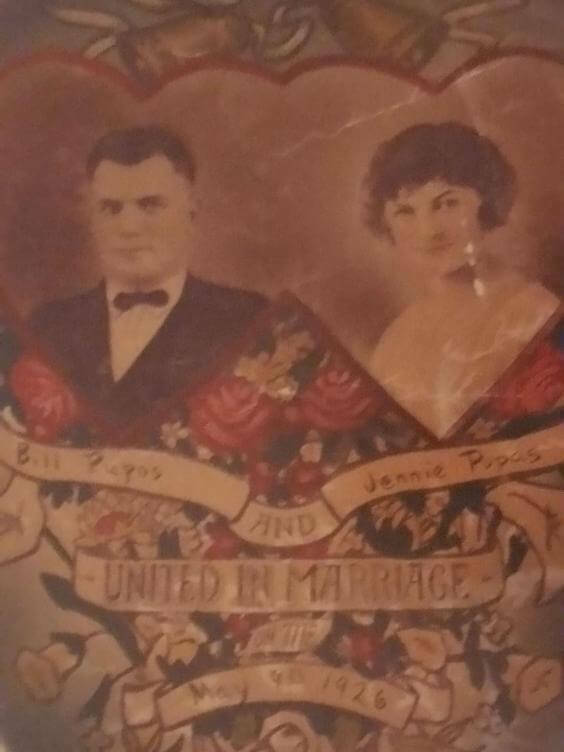 One of these relatives included a first cousin on her mother’s side that the family hadn’t known, as that side of the family hadn’t spoken since a money feud in the 1900s. "You know it is accurate because it is matching you up to people that you know are related through DNA," Weigold said of all of her previously unknown relatives in the world - and she has already encouraged her husband, mum, and dad to take an AncestryDNA test. California resident Vicki Stuber had been investigating her family history for some time - when she suddenly reached a dead end. Born and raised in Santa Barbara, the 59-year-old’s father passed away when she was very young and had shared very few details about the family’s lineage, so Stuber set out to make these discoveries herself. After compiling an extensive family tree, she uncovered origins in Ireland, though she was unsure as to how these links tied in with the research she’d already acquired herself. 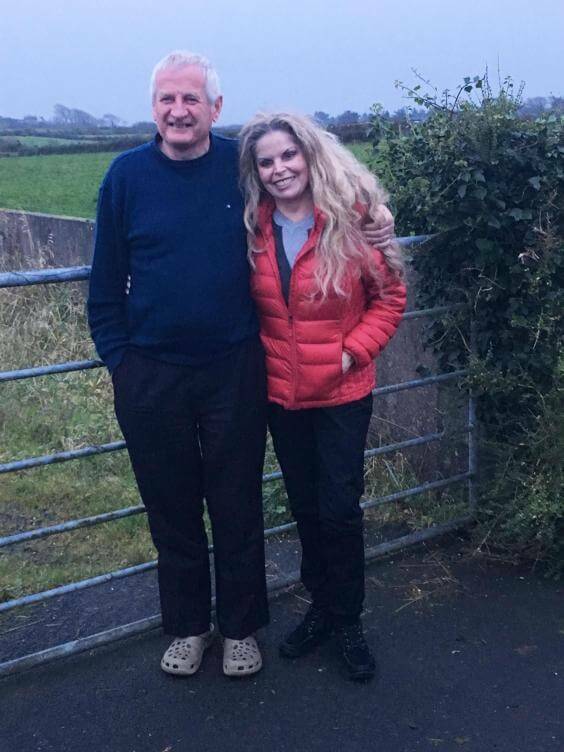 Hence, why she sought the help of genealogists at Ancestry, who were able to provide Stuber with crucial DNA details regarding her family’s history that ultimately led to a “once-in-a-lifetime” trip to Ireland. By sending her DNA to Ancestry, who boast the world’s largest DNA database with more than seven million people, Stuber was able to confirm Irish roots and also disprove some of the findings she had made that had led to a dead end in her research. All she needed to do was send a saliva sample by post in order for Ancestry to analyse her DNA to compare her to 350+ regions. The results revealed that, contrary to Stuber’s belief, her family had no native American origins. In fact, an AncestryDNA test revealed deeper Irish roots in Stuber’s family than she had originally thought, revealing that they weren’t just on her father’s side but on her mother’s side too. “They did a shadow tree and also told me that the information I had about my great grandmother coming to the US from Northern Ireland was actually wrong, so that was very useful to know,” she told The Independent. 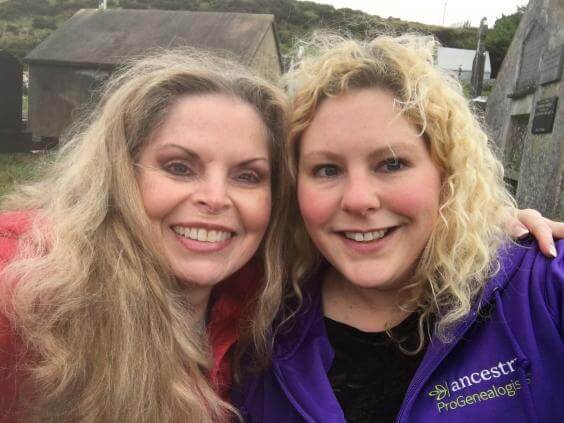 When Stuber found out that Ancestry was planning a genealogy tour to Ireland in October 2017, she and her cousin signed up immediately, eager to learn more about their family’s Irish roots. The 11-day tour began with two nights in Dublin, after which 22 travellers made their way down to County Cork before continuing onto County Kerry and Galway. 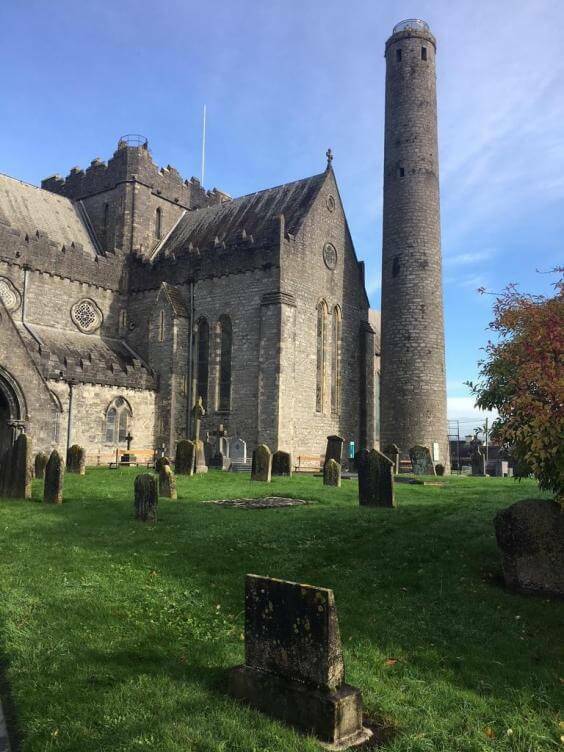 During the tour, the group visited numerous historic sites, such as Kilkenny Castle and a historic whisky distillery where they learned more about Irish culture and how their ancestors would’ve emigrated. “It was really cool to see my family surname, ‘Considine’, splashed across local hair salons and bakeries,” she said. However, it was in the small village of Cree in County Clare that Stuber made some of the most unexpected of discoveries. “The Irish are so welcoming, everyone loves to talk about families and their heritage,” she said. “On one occasion we were looking over some of my ancestor’s documents in a pub with a group of locals when one man said ‘that’s my name!’ pointing to a legal document showing that my great great grandfather had sued his neighbour, claiming that his donkeys had destroyed his garden." It transpired that the gentleman who had been sued was a relative of the young man in the pub, leaving Stuber completely stunned at the coincidence. Stuber’s tour continued with a trip to the farm where her great grandmother grew up, which she found as a result of having conversations with village residents and simply asking if they’d heard of the name ‘Considine’. After knocking on the door, Stuber was astounded to find that Considines still lived in the house, which had been built above the ruins of her great grandmother Mary’s house. 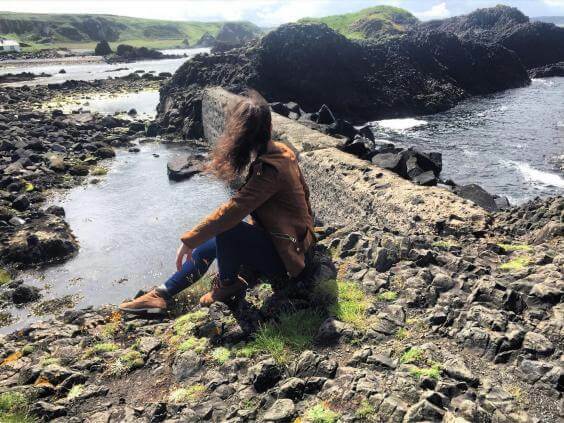 Eager to uncover more about her rich family heritage, Stuber has already planned another trip to Ireland with Ancestry in August, where she hopes to focus on her mother’s side of the family. “I couldn’t have accessed all of this information without Ancestry,” she said. Born into a military family and spending her childhood living across nine US states, Adrienne Abiodun had always considered herself an African American woman with slightly scattered origins. Reared by an Army officer step father and an Air Force marshal mother, Abiodun had very little understanding of her family’s history, let alone her DNA, and didn’t even meet her biological father until the age of 24. 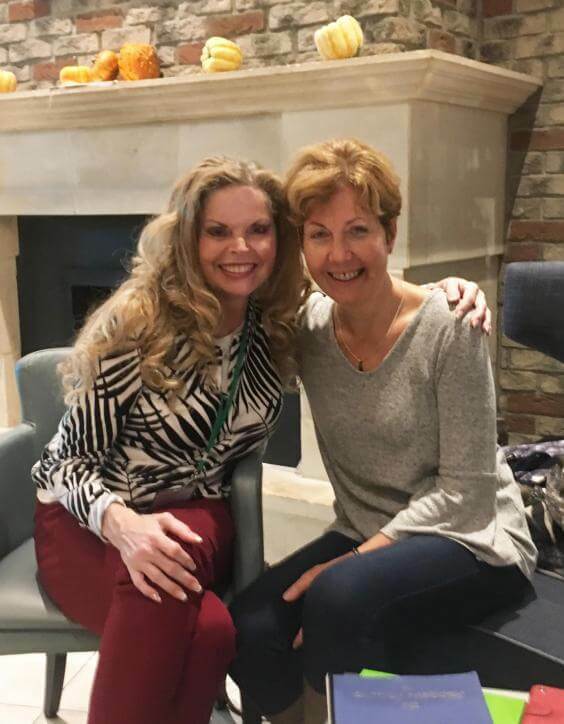 It wasn’t until she delved into the depths of her genealogy with the help of AncestryDNA, that she discovered the truth about her family’s fascinating history, which ultimately led to a trip to North Carolina that she describes as life-changing. "Prior to taking an AncestryDNA test I had a general idea that my family could be from a particular state, but was never so much able to pinpoint precise communities"
“Complexion wise, I am a fair-skinned African American woman,” she told The Independent, adding that people had always assumed she was mixed race. Abiodun explained that she initially looked into DNA testing with the hope of uncovering more about her African origins. In order to get a full picture of her family’s origins, Abiodun had to conduct DNA profiles on 22 of her relatives, adding that this was essential, considering you only inherit 50 per cent of your DNA from each of your parents. 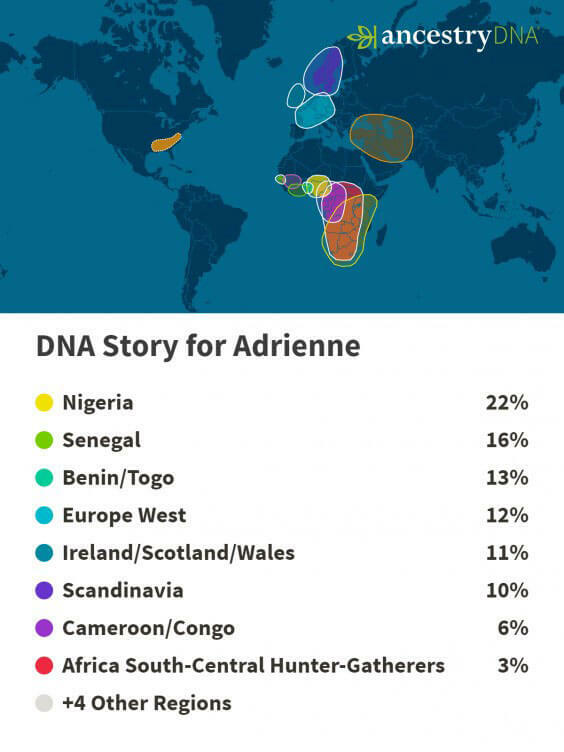 When the results of her DNA Story came in from AncestryDNA, the world’s largest consumer DNA database, she was surprised to discover that her roots were fairly evenly split between African and European regions, with traces in Nigeria, Senegal and Scandinavia. However, it was North Carolina that she was ultimately drawn to, where her fourth great-grandfather, Phillip Branch (1795-1891) was born before being removed by his enslaver, John Whitaker, to Wilkinson County in Mississippi. 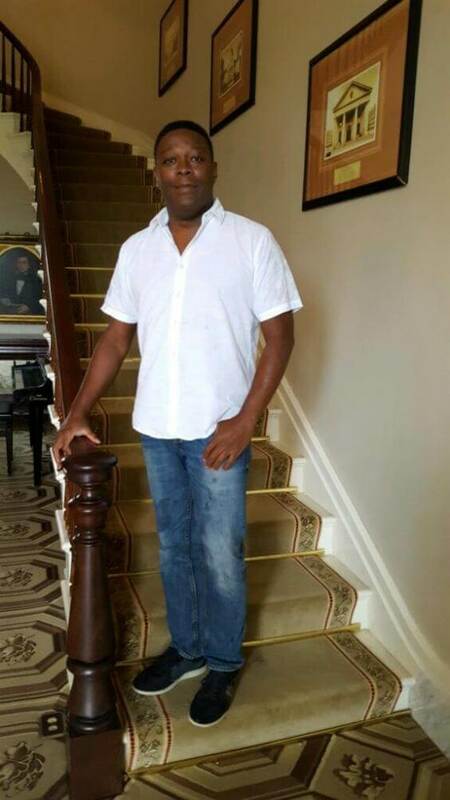 “The family narrative always stated that Phillip was born in Halifax County, North Carolina, where his owner, John Whitaker, was also from and that he was allegedly his half-brother. “So I already had this knowledge that there was a connection to Halifax County, North Carolina,” she said. However, further testing and research through AncestryDNA revealed that this link was inaccurate and that Branch actually had no familial ties to the Whitakers, but to a family named Fletcher who came from Perquimans County, North Carolina. 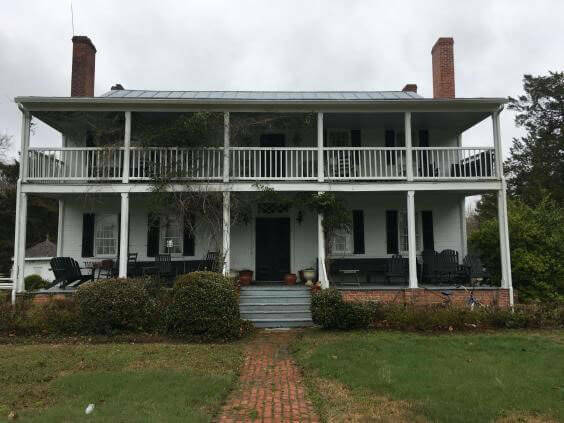 While visiting there, Abiodun came across a bed and breakfast called 1812 which was once owned by William Fletcher, who she learned was a prominent planter in North Carolina and was one of the first masters in the state to free his slaves prior to the 1865 abolition. She later found out through oral history that Fletcher was lost at sea around 1827 while travelling to Haiti to personally transport his slaves to freedom. “I do hope that they made it to Haiti and that it was on his return that he was lost,” she added. Abiodun added that there are numerous Branch cousins that have tested on AncestryDNA and that this will enable her to make further discoveries about her family’s rich history. “The power of discovering our origins is through connection and collaboration. I believe my family and many others have the ability to do it now that we have all these valuable leads from AncestryDNA and elsewhere on our side. Growing up in Juneau, Alaska, Kyle Betit recalls how his fascination with genealogy grew from watching his own grandmother research ancestors and contact relatives from all over the world in their local library. At the age of nine, Betit began to make his own revelations and research - which eventually led him to pursue his hobby as a career. And after experiencing his own moment of learning his own ancestral origins, and previously unknown family members, Betit found that he wanted to help other people discover the same things. So 15 years ago, Betit joined other genealogists in founding ProGenealogists. Now a branch of Ancestry, AncestryProGenealogists allows clients to dig deeper, with the help of experts, and use their AncestryDNA findings to complete the picture. “We wanted to provide them with a personal, on the ground experience of where their ancestors lived and what their ancestors were like - in addition to our traditional research report," Betit told The Independent. In order to decipher the secrets of the past, on behalf of his clients, Betit leads families on heritage tours based on the results of their AncestryDNA tests and historical research - where they journey back to their homelands. “We wanted to give people the opportunity to actually go there,” Betit said of the heritage tours. And when you are able to reconnect this broken loop, it can be an amazing adventure. While all of the heritage tours are special, Betit, who focuses on Ireland and Eastern Europe, recalls one that stood out. 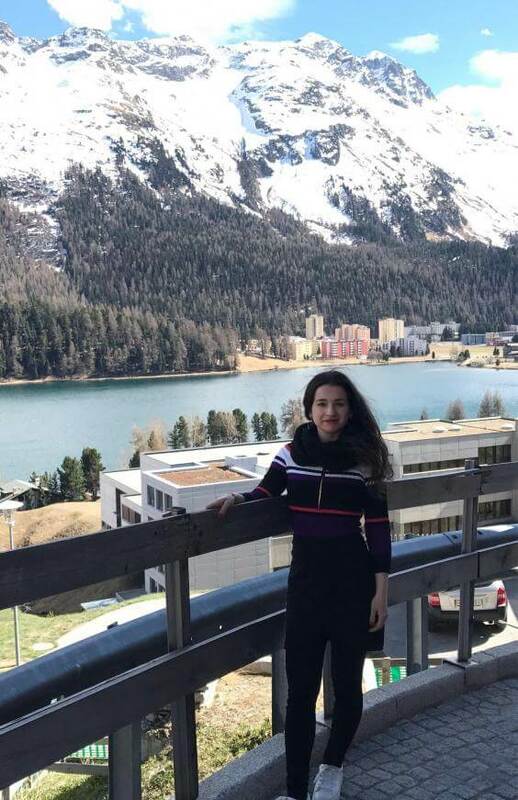 “The visits I did with a family in Switzerland last year were quite amazing because we were able to find a lot of extraordinary things,” Betit told us. As finding the answer to the puzzle is part of the thrill of heritage travel, this particular journey was one of the most thrilling of them all. “It was a culmination of many years of research. But we were eventually able to trace their records back to a town in Switzerland. And everyone in the world with that surname comes from that town,” Betit recalled. For Betit, this thrill of the chase and the eventual answers make the years of research all worth it. “It is like a detective story - like a puzzle. Getting to the answer is very exciting for me,” he said. 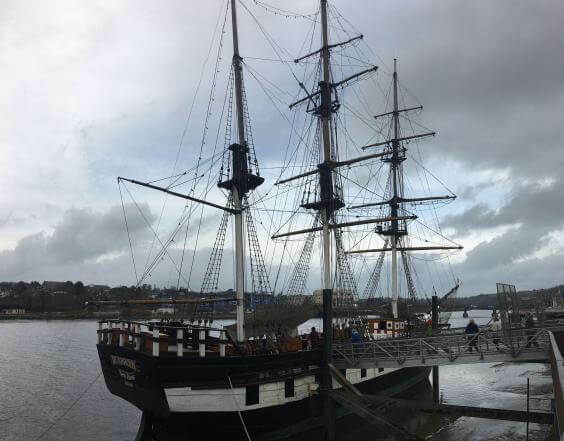 In addition to heritage tours, AncestryProGenealogists also run group ancestral tours and an upcoming cruise, where people curious about their history can find answers. Growing up in a predominantly Greek family, Carol Pappapetru-Hallas, from California, assumed she knew all there was to know about her family’s heritage. Her mother was of English, Irish and Scottish decent, while her father, Nick Pappapetru, was a second generation Greek American. However, after taking the AncestryDNA test, she uncovered that she was in fact just 39 per cent Greek – a discovery which left her confused and searching for answers. Armed with the knowledge that her grandmother, Jeann Kachevas was born in Chromtero, and her grandfather, Vassillos Pappapetru was born in Melisschori, Pappapetru-Hallas knew she wanted to explore her roots further and so decided to take a once-in-a-lifetime trip to Greece. “Growing up Greek I always thought I was half Greek but the DNA test said otherwise so I wondered why and it made me want to go and explore my Greek roots,” she told The Independent. Having gained a greater understanding of her heritage from her AncestryDNA results, Pappapetru-Hallas went on to discover so much about her identity during her visit to Greece that she never knew, including that she is in fact a direct descendant of General Theodoreos Kolokotronis – the pre-eminent leader of the Greek War of Independence against the Ottoman Empire. But, perhaps her biggest and most life-changing discovery was the result of a happy coincidence of circumstances. Travelling with her friend Margarita, Pappapetru-Hallas visited her great grandparents village and decided to ask a group of local men seated outside a taverna if they knew whether anyone with her grandmother’s family name, Kachevas, still lived there. To her surprise, every single one of the men raised their hands – they were all her cousins. The long-lost family members also took pleasure in introducing her to someone that knew her grandfather very well. “He came right over and it was my great uncle I didn't know I had. It was so awesome, he took us to his house and I found out my great great grandfather had built it,” she explains. 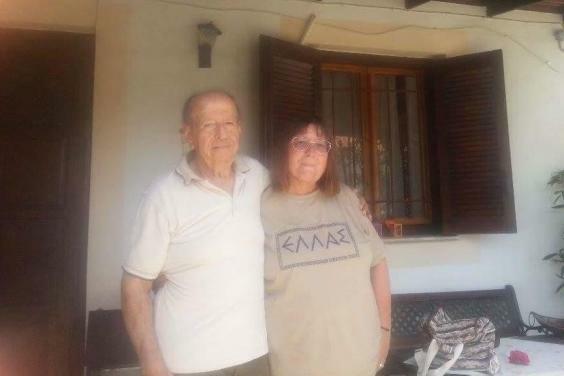 Thanks to AncestryDNA, Pappapetru-Hallas now has rooted connections in Greece and insists that she will return to take care of unfinished business and would also love to explore her mother’s heritage by visiting the UK. But, it seems her travels won’t stop there. Upon meeting her long-lost cousins in Greece, Pappapetru-Hallas learnt that when the Kachevas family left the country all those years ago, instead of travelling to America with the rest, some of them parted ways and headed for Australia. Now, this means that her AncestryDNA journey continues to other parts of the world she had never considered before. As a result, she has found and made contact with more direct cousins who live in Melbourne and hopes to also travel there one day in the future. 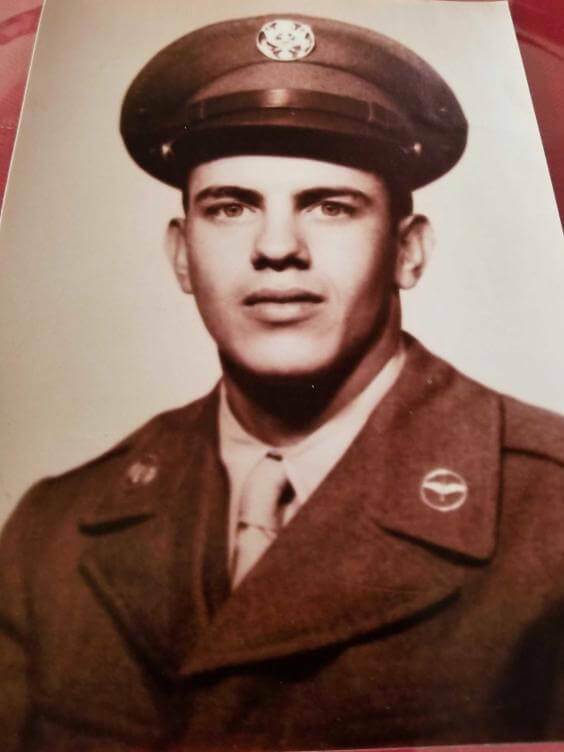 "When I saw the photo of him, I knew instantly that her father was my great-uncle"
Florida resident Shavonne Kenyon has been researching her family history for the past decade in a bid to find out how far her roots in the United States go. Throughout her Ancestry journey, she has found records of ancestors that travelled on the Mayflower and discovered relatives who fought on both sides of the Civil War. However, Kenyon’s most life-changing breakthrough came when a woman called Nancy contacted her looking for her long-lost father. Nancy Rivera, from Panamá, contacted Kenyon after being matched by AncestryDNA as her second cousin. 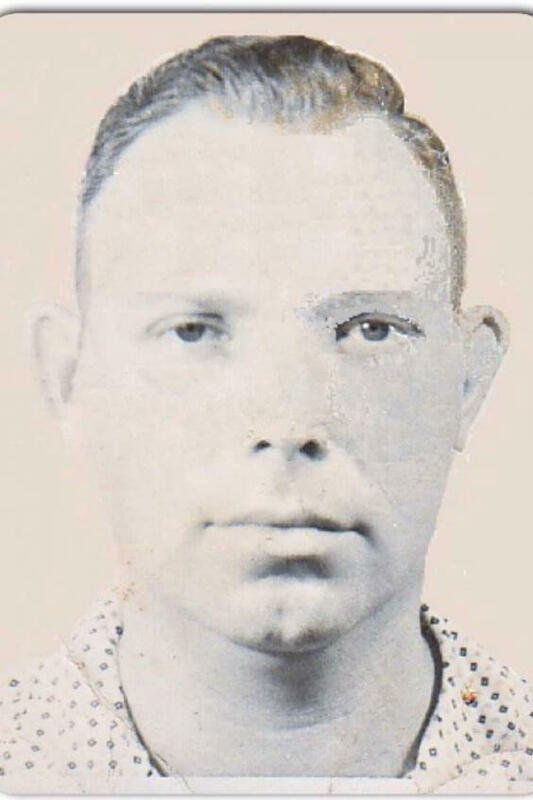 She revealed that she had never met her father and with just one photograph of him in her possession, Rivera was desperate for any information she could find. To Kenyon’s amazement, the man pictured in Rivera’s photograph was indeed her great uncle, Daniel Poulson, who had lived in Panama in the early 1960s but since sadly passed away. “When Nancy first reached out to me, I was a bit sceptical. I've had other people reach out to me with vague connections but Nancy had details that were very specific to my family,” Kenyon told The Independent. “Once I was certain that we were cousins, I felt excited, especially for her. I knew that she had a lot of questions and a void in her life not knowing where she came from or who her family is. After months of conversing online the duo have made plans to meet in person this summer in California where Kenyon hopes to introduce Rivera to other relatives including her cousin and aunt - more family members that, without the help of AncestryDNA, she would have never known about. “Nancy missed out on creating memories with her family but I hope to be able to give her some items that her father gave to his mother - her grandmother - so that Nancy can at least have something tangible as a part of her family,” Kenyon explains. Someday, Kenyon also hopes to visit Rivera and her son Daniel – named after his long-lost grandfather - in Panama but doesn’t expect her travels to end there. Since receiving her AncestryDNA results Kenyon has visited lots of places where her ancestors had an influence in settling, such as the Quaker Meeting House in Flushing, Queens. However, she hopes that she will one day make it to England to visit the church in Lancashire where her great-great-great-grandparents got married. “I love travelling and I love history so I don't think this ancestry journey is even close to complete,” she adds. Imagine going your whole life believing something about your identity... only to discover that it was all a lie. Throughout her entire childhood and adolescence, Nicole Enriquez never questioned her Mexican heritage. However, her entire world changed in an instant when her father let slip a truth that had been kept secret for years. “The day after I graduated, my ‘father’ told me he wasn’t actually my father,” Ms Enriquez told The Independent. However, her father made her feel upset and curious to find out whether there was any truth to his words. Ms Enriquez knew that her father had previously taken an AncestryDNAtest, so she contacted her step-mother to send over her father’s results. By taking an AncestryDNA test herself and then comparing the findings with those of her supposed father, Ms Enriquez confirmed once and for all that she was not biologically related to the man who she had always known as her dad. As a child growing up in Texas, people had been taken aback when Ms Enriquez told them she had Mexican heritage, due to her appearance. “Since first grade, when your teachers call out your name to figure out who you are on the first day of class I’ve always gotten a crazy look by the teacher and my classmates,” she said. Her AncestryDNA results informed her that she was in fact Irish and Scandinavian, with no trace of Mexican heritage to be found. 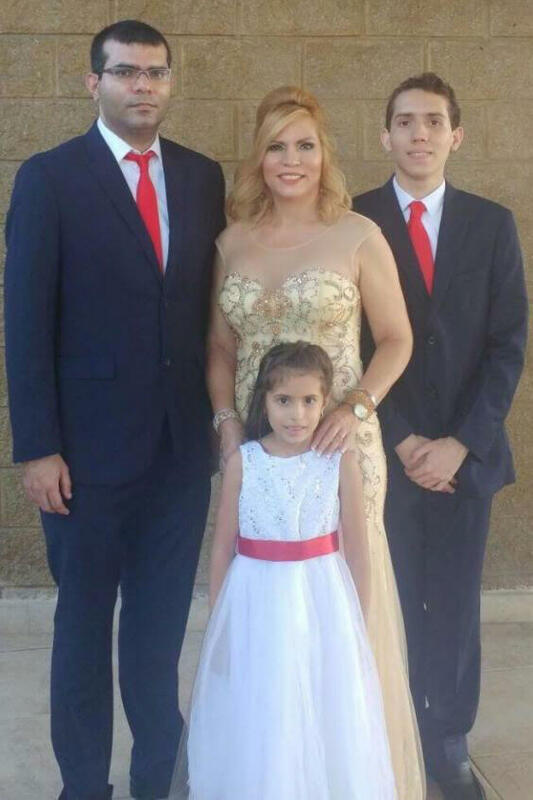 Her mother, who she is biologically related to, had been adopted as a baby, so all Ms Enriquez had to explore her ancestry further were her AncestryDNA results. She decided to take the plunge by quitting her job so that she could put all her efforts into travelling around Europe. 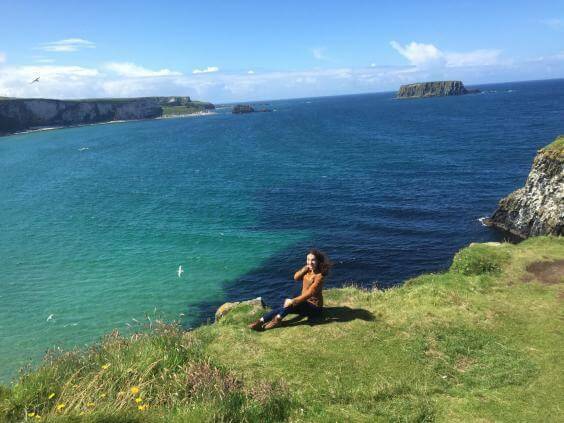 Travelling to Ireland made an especially big impact on Ms Enriquez’s outlook on life. “I am a completely different person since that trip,” she said. “I have learned so much about my life and myself that I feel absolutely invincible and unstoppable. Since gaining a greater understanding of her background from her AncestryDNA test, Ms Enriquez hopes to travel even more in future. 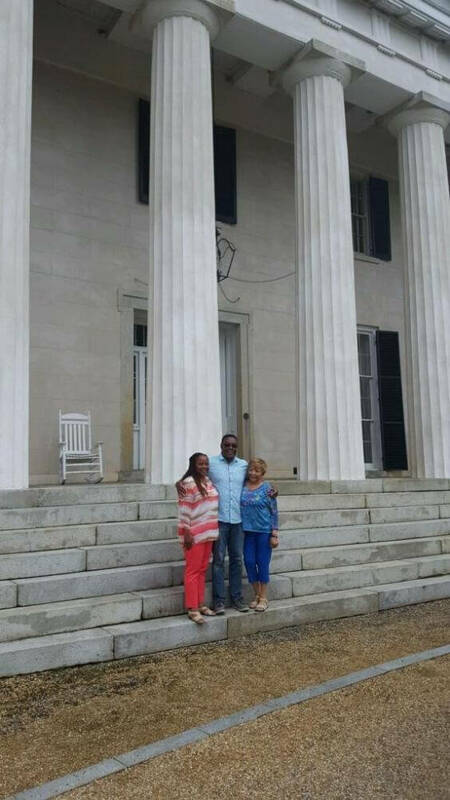 When Jason Atwater visited the Virginia plantation where his ancestors had been enslaved, he could never have imagined quite how moved he’d be. “It’s definitely affected me, the 47-year-old says. Atwater grew up in Pennsylvania but wanted to trace his roots and find out more about what made up his DNA. Atwater grew up in Pennsylvania but didn’t know where his family had come from further back than few generations, so he decided to join Ancestry.com and take a DNA test. Atwater did lots of research but got stuck in 1870 - this was when, after the civil war, black people were listed by name in US census reports for the first time. Before, they were listed as property. “About a year ago I got a notification from Ancestry that new information on my DNA was available - it was a family tree from a distant relative, some cousin of mine that I don’t know,” Atwater says. 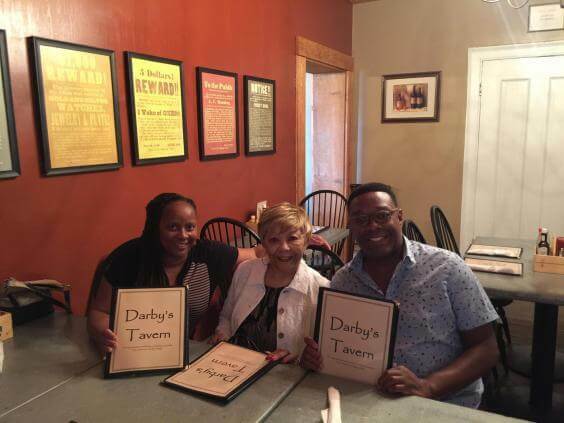 It turned out Darby was the first chef for Berry Hill, and at the time, the owner of the plantation was the third richest man in the country. So Atwater, his mother and sister decided to make the trip to see where their ancestors had lived. By this point in time, Jason was an employee of Ancestry, and Ancestry sponsored his trip to help him find his roots. 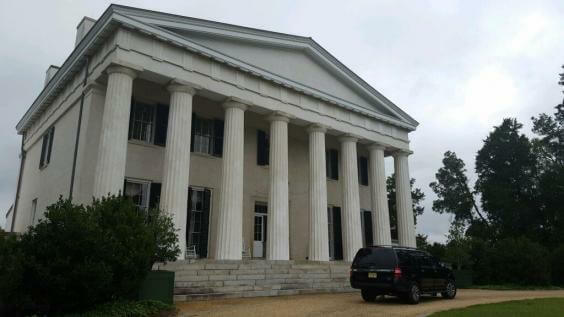 The building on the plantation - a large, imposing one with huge columns - had been preserved exactly as it was in the 1800s. “When we arrived at the plantation, there was a long driveway,” Atwater says. “When we got out of the car and looked at the building, I had chills all over my body. “Being there, there were waves of emotion. I was excited to be there but just feeling the gravity of where I was and knowing that this was where my ancestors were enslaved... Seeing this place and seeing how imposing it was, all three of us simultaneously burst into tears. Being able to touch the pot that Darby, who shares Atwater’s DNA, had used to cook in and walk on the same ground, Atwater was overcome with emotion. “But there was also pride that I was able to do all this research using Ancestry.com’s tools,” he says. “It was just an idea in my head four or five years ago and because of the tools on Ancestry.com, I was able to find and connect with my ancestors. It’s so powerful and it changed my life to be there. “It’s definitely affected me. Before, slavery was an abstract thought. But seeing everything made it all so real and I could finally connect to it all so powerfully and emotionally. That’s what changed my life. 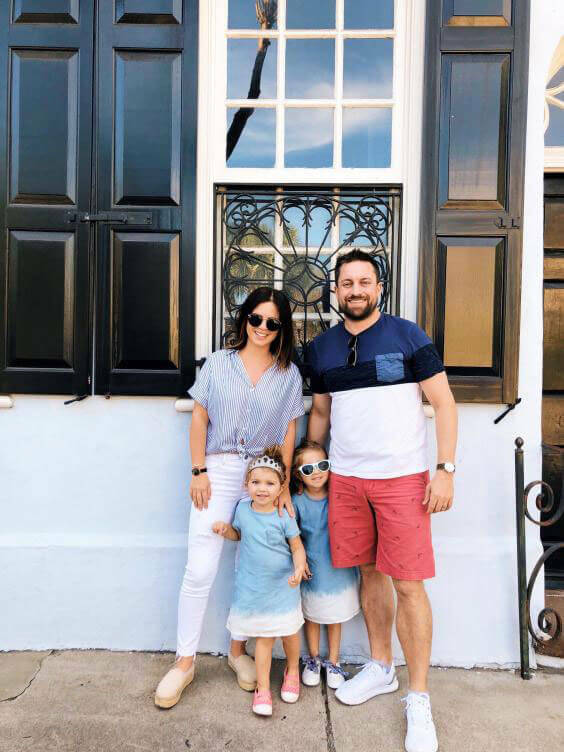 As a travel, motherhood and lifestyle blogger, Annmarie Bailey is used to sharing stories and adventures from her own life. 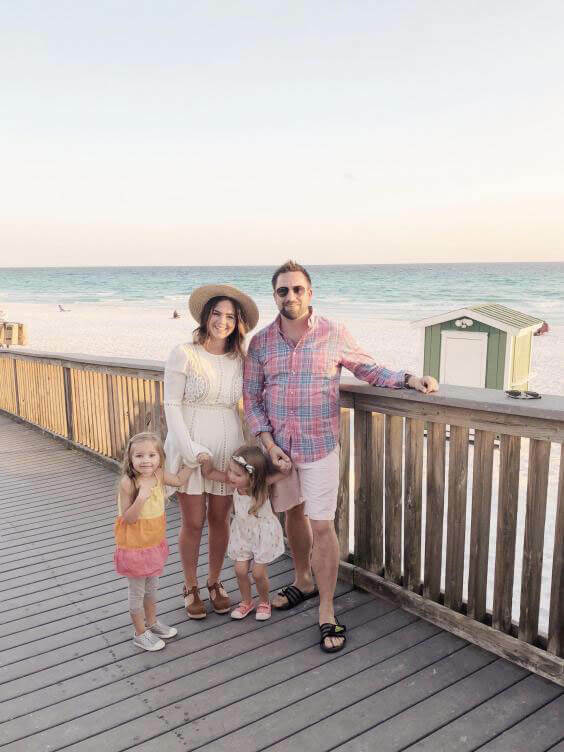 With their two daughters, Scarlett who is four and Savannah who’s three, New Yorker Annmarie and her husband Don moved to Atlanta for work, which has provided the mother with lots of travel content for her blog, as the family explore more of the US. But it wasn’t until recently that Annmarie discovered an aspect of her family history and her DNA she never knew existed, which will soon give the blogger the opportunity to write posts from much further afield. 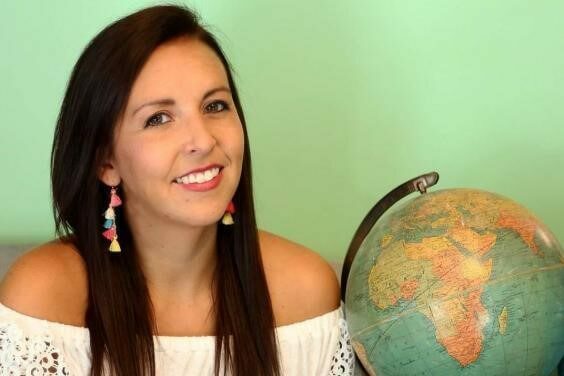 A year ago, Annmarie, 26, signed up to Ancestry.com and took an AncestryDNA test with a view to retracing her roots in the hope that it could provide some exciting content for her blog. It was through a census that the mother was able to find the address of her ancestor - she tried looking on Google Maps but decided that what she really wanted to do was go there herself. The address was in County Mayo on the west coast of Ireland. Annmarie found the DNA discovery particularly interesting because her maiden name is Joyce and the family she traced was on her Joyce side. “I’m very interested in that because it’s my name, and the area in Ireland is also referred to as Joyce Country, which I think is really cool. 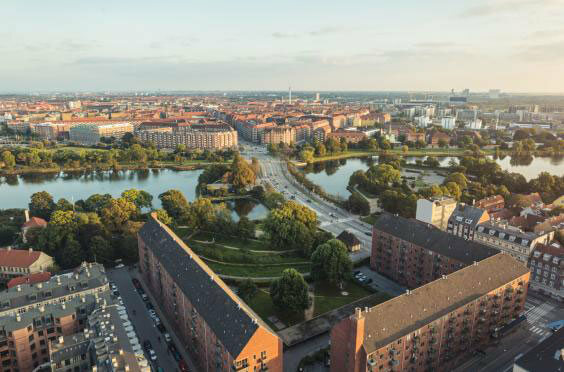 Annmarie doesn’t know if she still has any relatives living there, but that won’t stop her. “I want to go to see where I’m from,” she says. 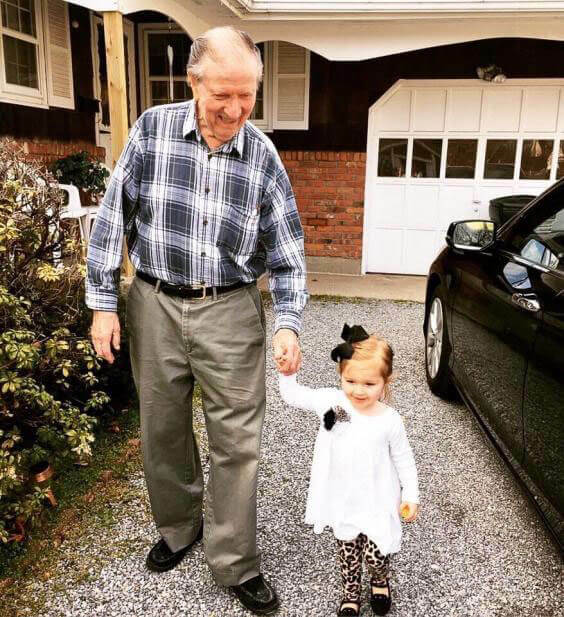 Annmarie did know she was Irish already and had been trying to find out more about her Irish ancestry by talking to her 92-year-old grandfather, Alan, but even he didn’t know whereabouts in Ireland the family was from. The blogger and her husband are yet to fix set dates for their trip but are hoping to fly across the ocean at the end of the year. Annmarie is planning on making the DNA discovery trip into a series on her blog too.